Ratanak Kiri Province, Cambodia, January 2018 – It is a quiet day in L’ak, a small rural village in the north east of the country. Most are out working in the fields and the village is largely empty. Yet, one small building near the centre of town is bustling with life. The local community preschool (CPS) is a hive of activity as excited voices emerge from inside the building while teacher Dan Sopeat, 23, enthusiastically tutors the children. With smiles on their faces, the children jump up and down in their seats and eagerly answer their teacher’s questions. “I love playing with kids. When I play with them, I feel free and happy,” Sopeat said. 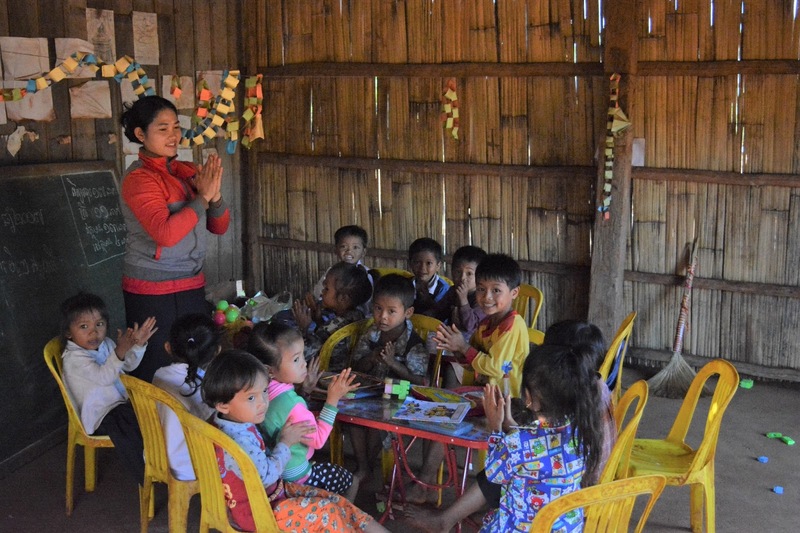 Class teacher Dan Sopeat instructs children at L’ak Commune preschool. The L’ak commune CPS provides essential early learning for children who cannot attend faraway schools. Although education is valued in Cambodia, parents in rural communities work long hours for small pay and their immediate priority is putting food on the table. Early childhood education is an essential stage of learning as it stimulates cognitive and psychosocial development, knowledge and confidence and it increases a child’s chances of attending and succeeding in primary school. Ratanakiri province in north-eastern Cambodia. 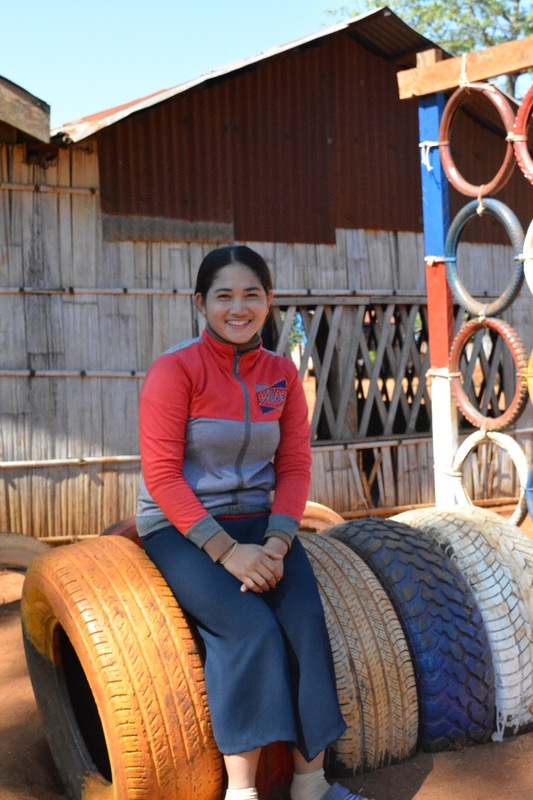 Vay Neang, 23, the mother of four-year-old Dina who attends the CPS, said: “I want my daughter to play with friends and learn how to read and write. Neang works long hours in the field or selling her vegetables at the market. Bringing Dina to school takes up time, but Neang understands the importance of an education. To accommodate parents’ demanding work schedules and their ability to bring children to school, class times have been brought forward so parents can wait for their children to finish class and then go on to work. Neang said: “I am a farmer and it is hard work. I want my daughter to be a teacher so that she can teach others in the community. 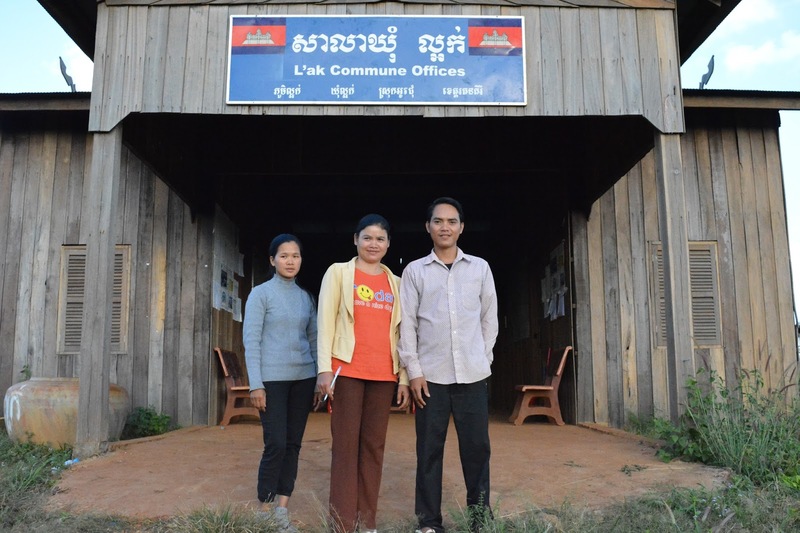 The benefits of CPS are even more beneficial for the people of L’ak village who are predominantly members of the Kreung ethnic group who speak their own language, as opposed to the national language - Khmer. While some public schools use a multilingual education programme which prioritizes education in the ethnic language at the beginning, from Grade 4 onwards classes are taught entirely in Khmer and difficulty in learning this in primary school can lead to many children from indigenous groups falling behind in their studies or dropping out of school entirely. 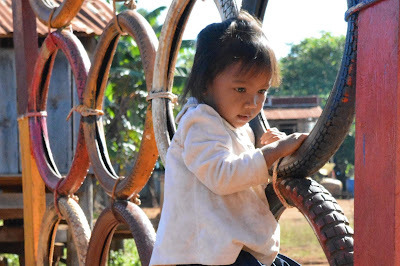 To address this, children from indigenous communities are introduced to Khmer language skills at an early age, while allowing them to learn in their mother tongue during the transition stage. Villager Link Leur said she values this part of her four-year-old son Bunnarite’s basic education. “Even if he does not get a higher education, he can communicate when he leaves the village. He will know how to read and write,” she said. Early learning also enables indigenous people to acquire other essential life skills such as the ability to do basic mathematics. “I sell vegetables and one day someone gave me the wrong amount of money. If kids have an education they can count and won’t be cheated,” Neang said. Despite an increase in enrolment at L’ak CPS, major challenges remain in the provision of teacher salaries, school supplies and maintaining a quality level of education. Additionally, limited availability of CPS in remote regions bars many children from an education. Another issue is monitoring which is critical to implementing services that improve CPS programmes. Insufficient budget limits the commune’s ability to monitor CPS activities. For example, in the past, commune chief Kroun Chan had to use her own money to purchase fuel to visit and monitor schools. A lack of funding also means teachers’ pay is often delayed. To address these issues, the Royal Government of Cambodia has recently issued a sub-decree to support community pre-schools by increasing teacher pay levels; improving teaching materials; enhancing teacher training programmes; and upgrading management of schools. The CPS model was first introduced in Cambodia by UNICEF in 2001, which was then endorsed by the government in 2006 as a model for providing early childhood education to help young children in remote areas receive an equitable start to their education. 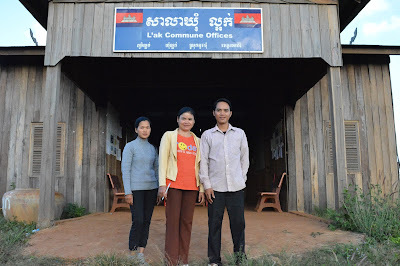 stands in front of the commune office with her colleagues. Successful implementation and positive outcomes of this community-based initiative have led the government to adopt a national policy in the form of a sub-decree, to allocate government funding for CPS operation, set minimum quality standards, and to expand their scale. The sub-decree, approved in December 2017, was developed by the Ministry of Education, Youth and Sport, the Ministry of Finance and the Ministry of Interior, with support from UNICEF. It is hoped that the economic burden on local commune/sangkat governments, which currently bear full financial responsibility for the operation of community preschools, will be reduced once the sub-decree is implemented. The government’s initiative to fund CPS nationwide shows recognition of the importance of early childhood education for national development. This approach will enable villages, such as L’ak, to equip its children with the essential skills needed to progress to higher learning and reach their full potential in life.